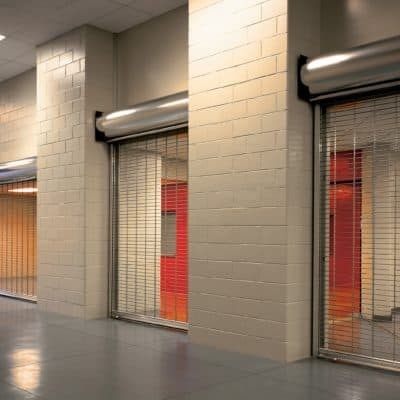 Overhead Door™ Security Grilles offer various solutions for a spectrum of retail, commercial and industrial applications. We offer a complete line of security grilles, including upward-coiling grilles and side-folding grilles to meet your specific needs. Upward-Coiling Grilles are designed for durability and easy operation. They are constructed of aluminum, stainless or galvanized steel, with the option to add an electric motor. Side-Folding Grilles offer the shortest stacking dimension of any grille available today and feature a handsome clear anodized finish (standard) in a variety of patterns and optional colors. This is a great option when headroom is limited or the grille must follow a radius.